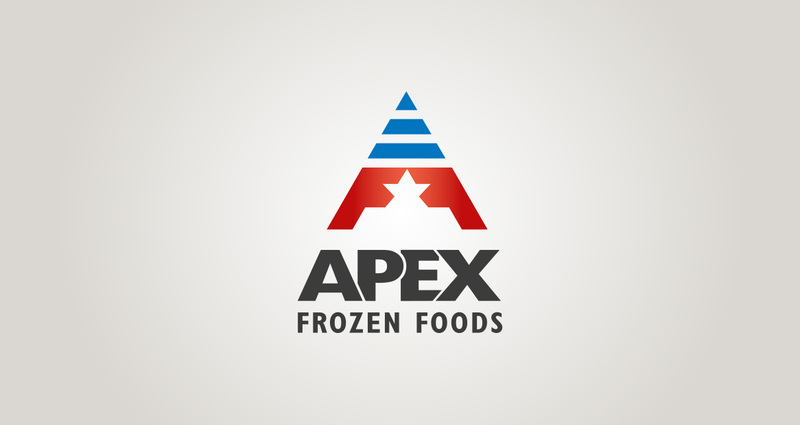 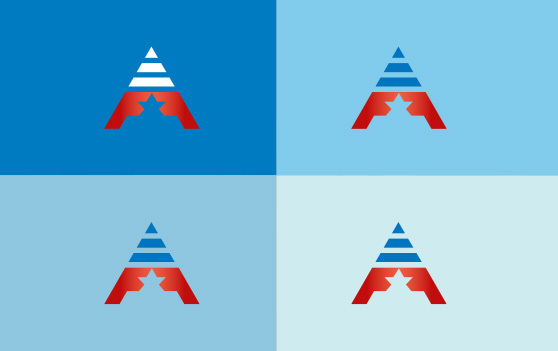 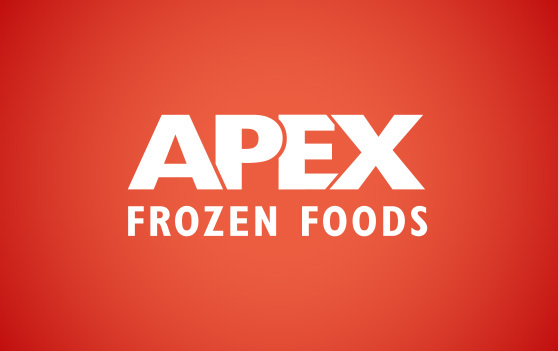 A unique and bold identity was created for Apex Frozen Foods by bringing together its dominant letters – AFF. 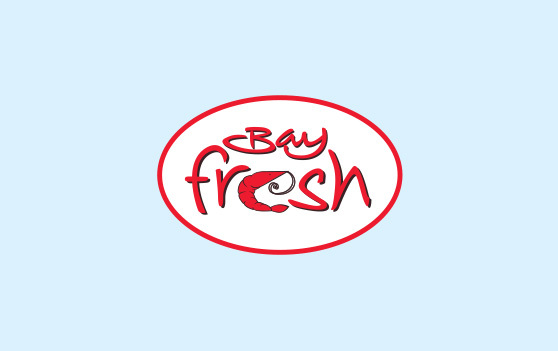 Highlighting the importance of the ‘star’ as a mark of grade in the seafood industry, the two ‘F’s’ were interfaced to create a star in the space between. 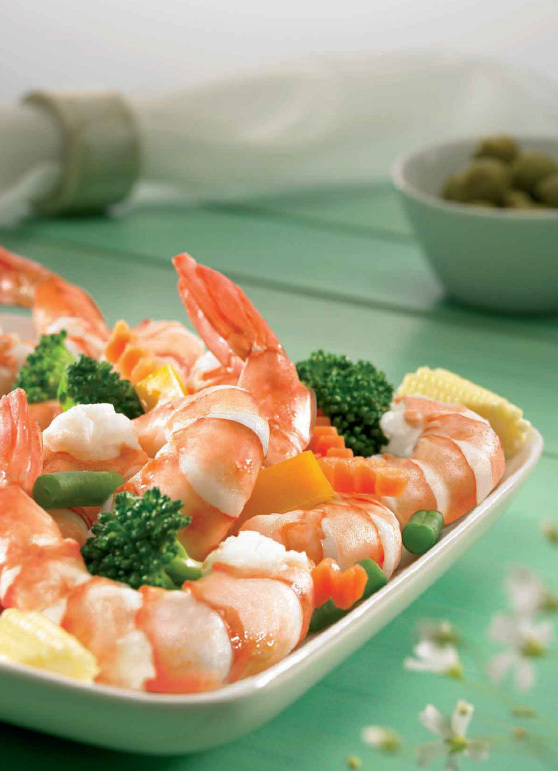 The gradient colour scheme draws its inspiration from the blue of the ocean that supports sea-life and the distinctive orange shade of cooked shrimp. 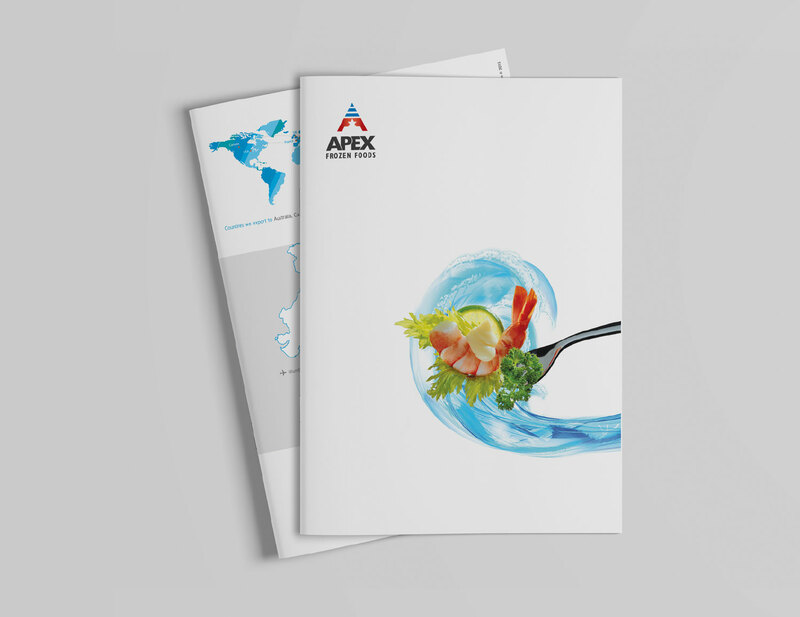 A breaking wave on the front cover signifies the connection between the sea and its bounty. 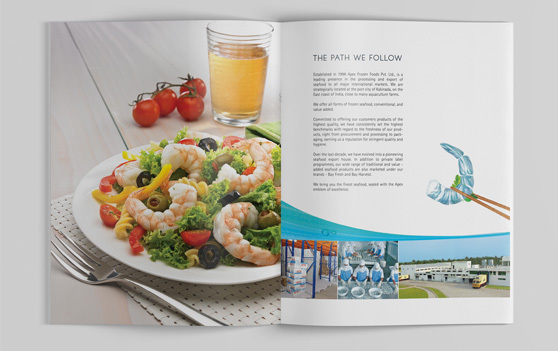 The wave then flows into the illustration on the opening page and carries itself throughout the brochure. 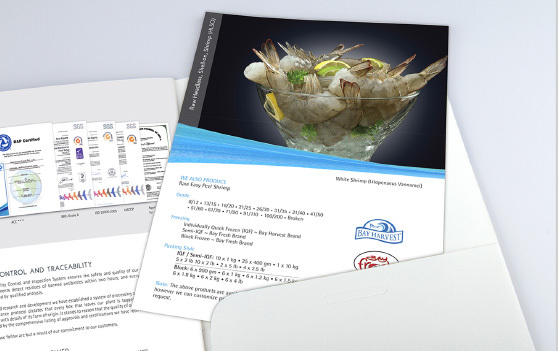 Graycell Design also undertook the styling and production of the product photography for both the brochure and packaging. 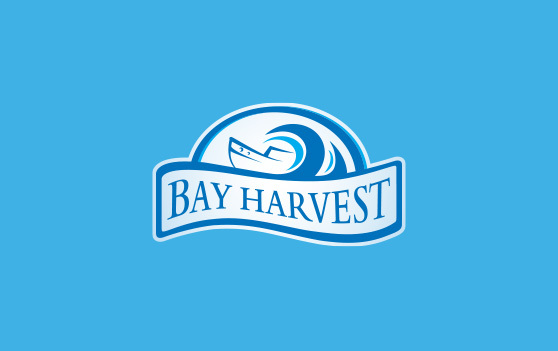 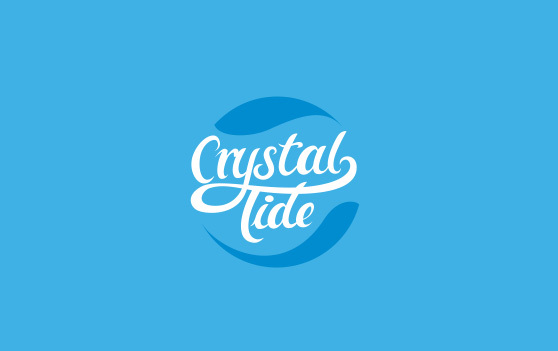 Some brand logos designed for their various brands of seafood. 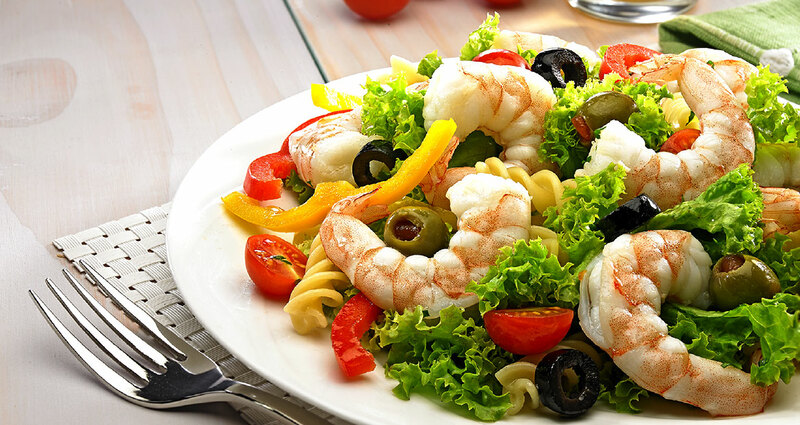 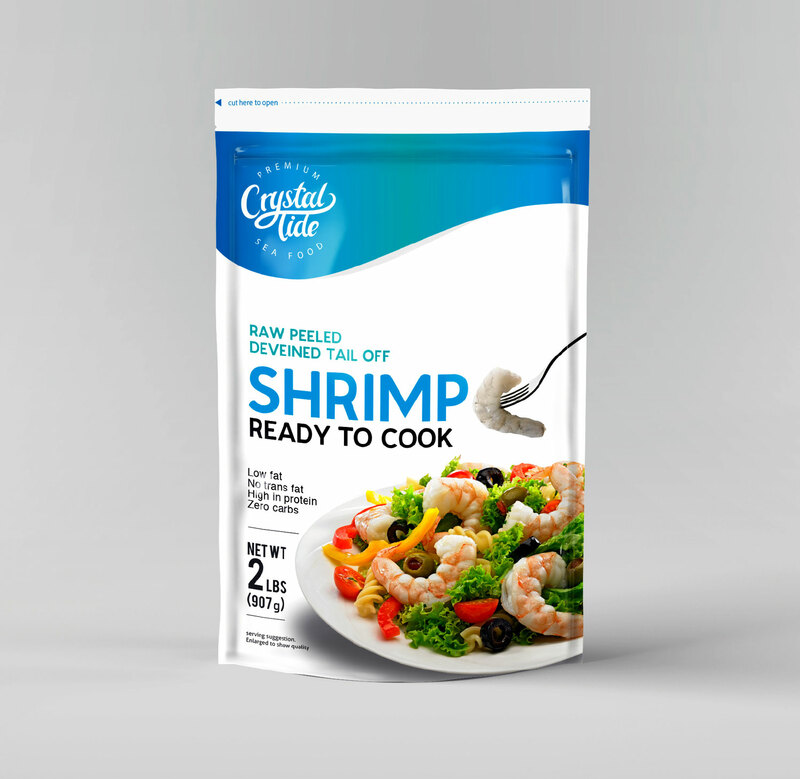 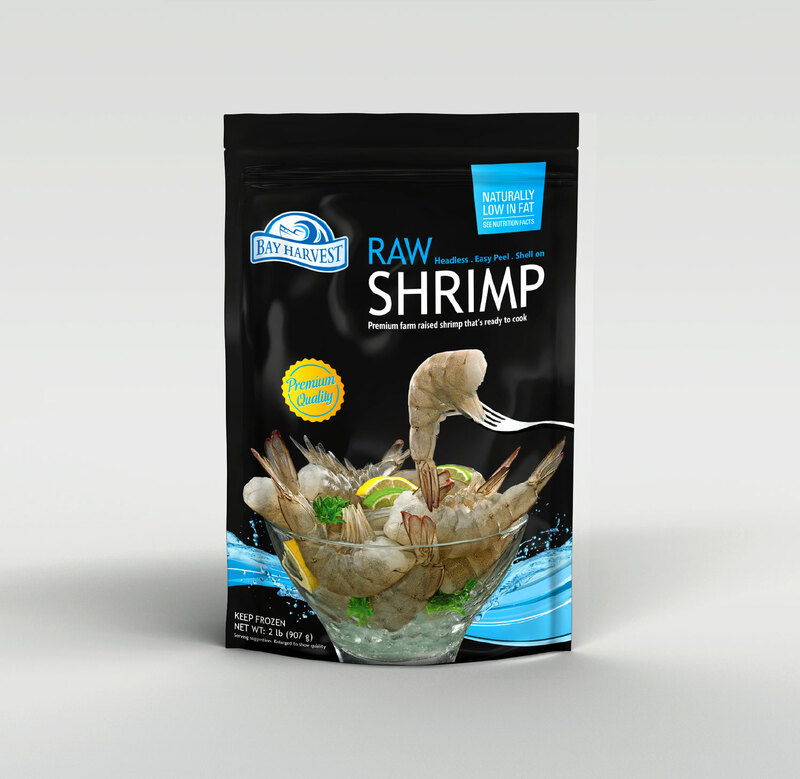 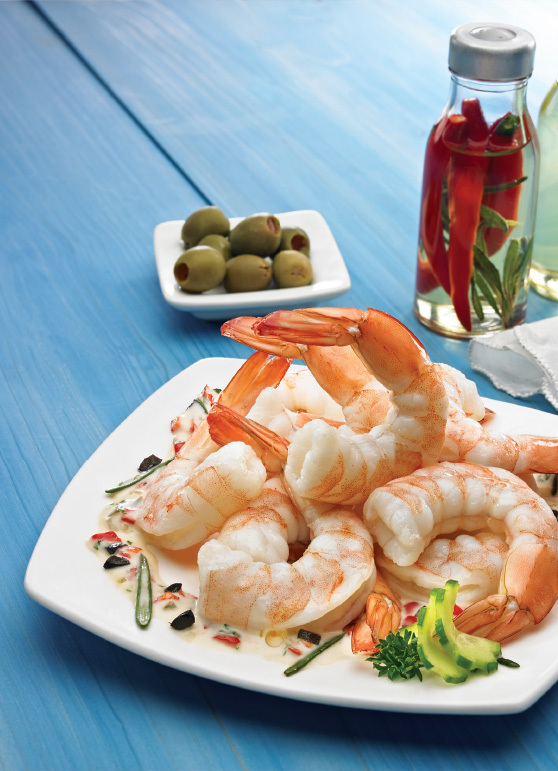 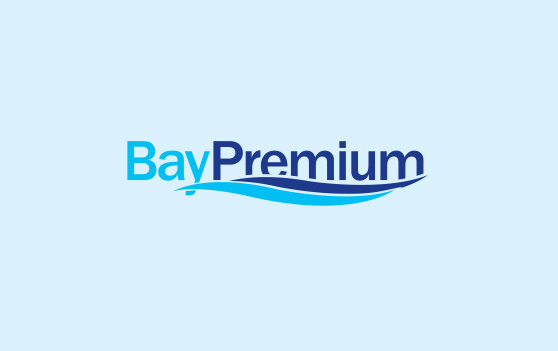 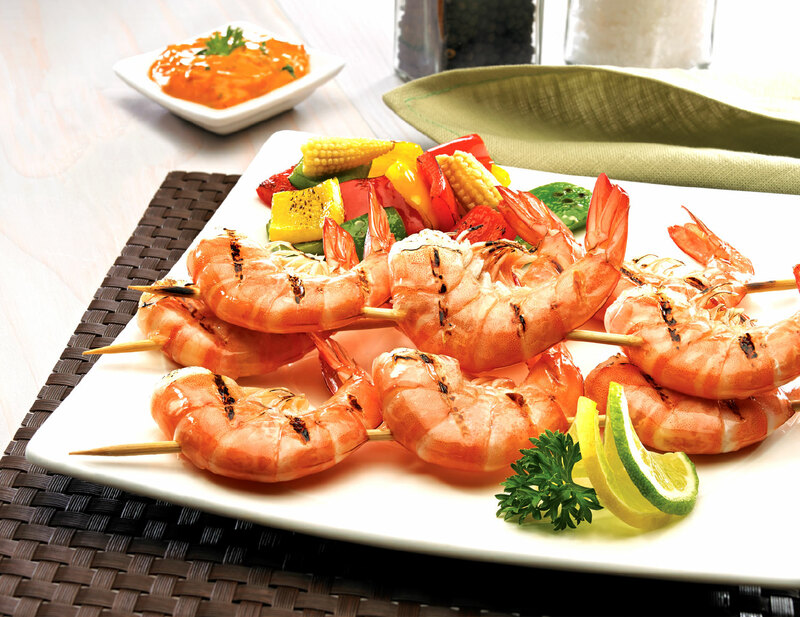 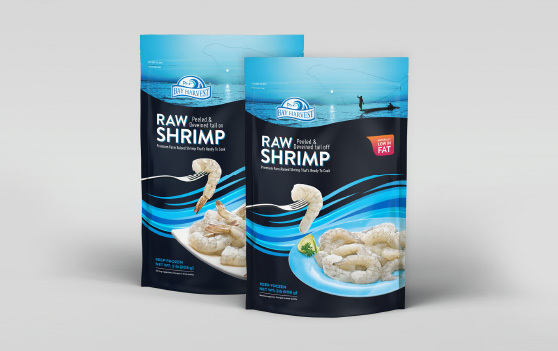 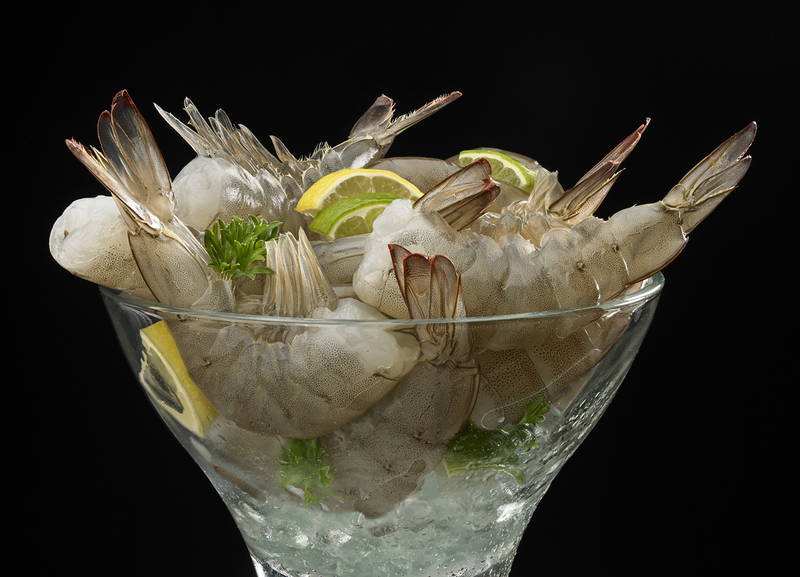 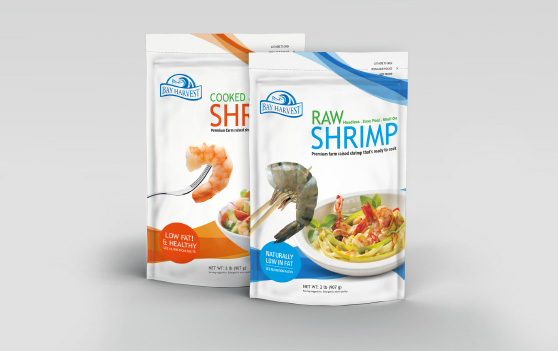 The design for the shrimp pouches reflects the premium quality of the shrimp presenting the product in all its freshness. 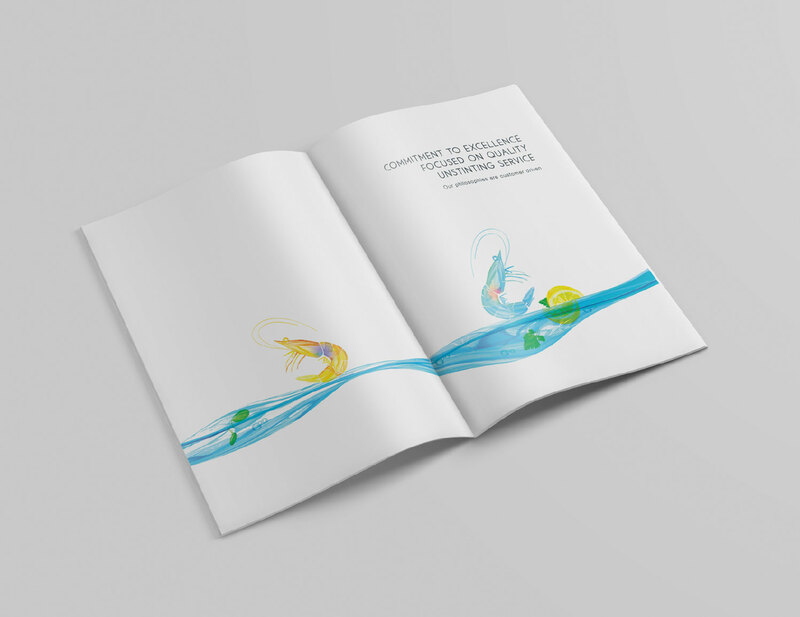 A striking, colourful design was achieved by using the recurring image of water waves as the distinctive element.